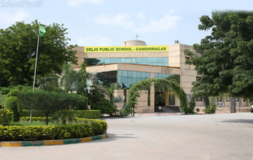 Find below the list of top IGCSE / Cambridge schools in Thaltej - Ahmedabad with phone number, address, 360° School tours, 2018-19 Admission forms & Fees, photos, facilities & more. 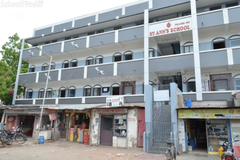 Anand Niketan School, Shilaj was started in 1996, with 20 children and 2 classes, with the aim to return childhood to the children. 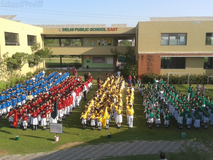 Today the strength of students has gone up to 1,100 right from Nursery to grade XII Science and Commerce. 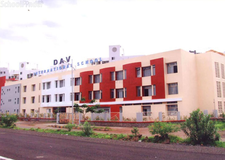 The School logo itself denotes that the organization is like a tree, nurturing its students. The roots strengthen their foundation and transform them into independent learners. The credit for pioneering this School with a difference goes to our trustee Mr. Kamal Mangal under the aegis of Utthan Seva Trust. 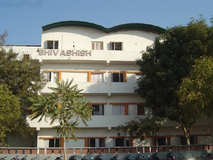 In Anand Niketan- Shilaj Campus students discover their own talents, and get an opportunity to develop them to the fullest. The school provides an invigorating and stimulating atmosphere, created by a dedicated and committed band of teachers for whom teaching is a vocation and not a profession who teach some of the things the students will need in life-be they be doctors or poets or kings. 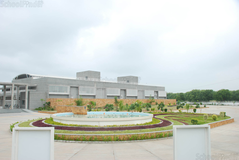 Established in 1992, Sanskardham was founded by visionary Late Shri Laxmanraoji Inamdar. The centre works consistently for its goal towards imparting education highly inspired by the ideologies of Swami Vivekananda and mainly his belief Education is the manifestation of perfection already in man. Founded in the year 1987 under the vision of our Managing Trustee Mr. Rajendra Shukla the school has not only grown in terms of the size of it's campus or the number of students from it's past or present but has set a benchmark at various levels during its existence and will continue doing so.Being one of the finest educational institutions in the city, we have always taken a moral approach to education and have always kept our priorities ahead and intact for the future citizens of the world, not only by ensuring a good campus and infrastructure but also by a careful selection of staff both faculty and extra activities. 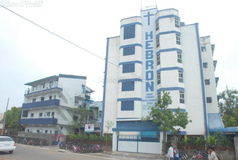 The School is accredited by the Gujarat State Board of Education and has since inception always had a record of excellent board results in the 10th and 12th grade. 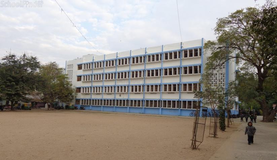 The school is also in the process of CBSE application which has reached an advanced stage and once Approved an official announcement shall be made on this page.This website has been created using the lightest possible tools to ensure the site is accessible on most platforms regardless of the speed of the internet connection. Choosing the right school for a child is a daunting task. Making the job easier for you is Sqoolz. 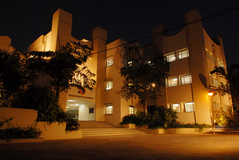 In order for your child to get admission to the best IGCSE / Cambridge schools in Thaltej - Ahmedabad you need to study and analyze the list of top IGCSE / Cambridge schools in Thaltej - Ahmedabad. 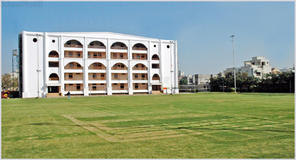 With our detailed list of IGCSE / Cambridge schools in Thaltej - Ahmedabad, you can get all the information you need.